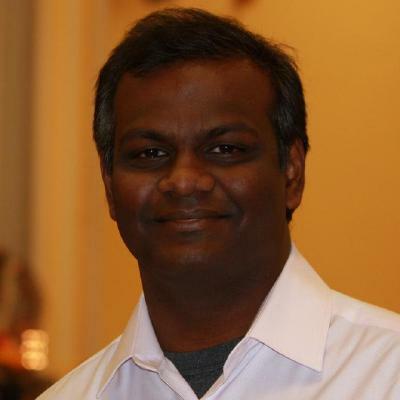 My name is Arul Kumaravel, VP of Engineering at Grab. Grab’s mission is to drive Southeast Asia (SEA) forwards. Today I would like to share with you how Amazon Web Services (AWS) is helping us with this mission. Grab was started in 2012 by our founders Anthony Tan and Tan Hooi Ling when they were in Harvard Business School. Both are from Malaysia. They started Grab, known as MyTeksi then, with a simple idea: to make Grab simple and easy to use for the people. We’ve come a long way since our humble beginnings. Today, we offer the most comprehensive suite of transport services in SEA, including taxis, cars and bikes. We have services that cater to every transport need, preferences and price points of our customers. The numbers tell a story. We’re currently in 40 cities in 7 countries, the largest land fleet of 780,000 drivers in the region. Our app is installed in 38 million devices. We’re no longer just a taxi app, we’re much more than that. We’ve built a market-leading transportation platform. So whether you need a car, limo or a bike, whether you want to pay with cash, with credit, you just have to go to one place. Our journey doesn’t stop here. We continue to outserve our customers by launching new products and services, such as social sharing, which is GrabHitch, parcel delivery, GrabExpress, and GrabFood. We are able to build the best and most widely-used app because of our talented pool of developers spread across all our six development centres. Our largest center is here in Singapore. We also have centres in Bangalore, Beijing, Ho Chi Minh, Jakarta and Seattle. Our engineers love that they are making an impact on the lives of SEA. A lot of these have been made possible thanks to our work with AWS. Grab started using Amazon Web Services since its inception in 2012. Our initial application was built using Ruby on Rails, which we ran on Amazon EC2. We used Amazon RDS MySQL for our storage. Of course we used VPC and other networking infrastructure for running our application. We have since evolved our app architecture from a single monolithic application to microservices-based architecture. We have grown quickly over the years and our usage of AWS increased tremendously. We used a number of AWS services that helps Grab team save time and resources up to 40%. There are so many services that we use today and you might be wondering why. Each of the services has its own use case. Let me give you a concrete example of how we used AWS. AWS has enabled us to build strong capabilities to review real-time data. We use this capability to make matching drivers to passengers efficiently. For example, we pro-actively push information, telling drivers where the demand is high during certain time of the day. What you’re seeing is a demand heat map created on a Monday morning for Singapore at around 8.45am. This is the time that most people leave for work. As you can see, the red dot here in the map represents that the demand is high. As you can see, the demand is high in the center part of Singapore. For those who are familiar with Singpore, you’ll know that’s where most of the housing estates are. We monitor changing custom demands in real-time, and send drivers notifications to go to areas with higher booking demand. For example, there’s another heat map on a Friday evening after work. We can clearly see the difference between Friday night and Monday morning. Friday night hot spots are in the central business district. Monday morning when people go to work, high demand is mostly in the residential areas. this seems obvious, but demand is not always where we expect it to be. We have to track in real-time, so that we can respond quickly when there are unforeseen like weather and public transportation breakdowns. What this means is our drivers get to get increased revenue or they can reduce the numbers they are driving. For consumers, this means that they can book the fastest ride, without having to stand at the side of the road trying to hail a taxi. By using big data, we have been able to increase our allocation rate, which is the matching of drivers to passengers by up to 30%. beyond using data to make Grab bookings more efficient, we want to solve bigger problems of traffic congestion, and also help with urban planning. What do we do with the 100 of millions of GPS data points we get from our drivers fleet? Here’s a screenshot of our open traffic platform, a collaboration between grab and World Bank. In this image, the red means the traffic moves less than 10 km per hour while the dark blue means the traffic moves more than 70-80 km per hour. This screenshot is taken on a peak hour on Tuesday in Singapore’s Central Business Distract. It’s easy to see which roads are smooth flowing and which roads to avoid. City governments have free access to open traffic. They can get real-time traffic condition in the city at one glance. open traffic helps government save costs and manpower on manual monitoring and focus on issues that matter. It can identify roads to help manage traffice beside areas that need more infrastructure and identify roads with high action rates. AWS has enabled us to manage this multi-petabyte flow of data and leverage it to improve our customer experience. We’ve been using AWS since our inception and there are many benefits to using AWS but I want to pick three that I would like to call out here. The first one being lean operation scheme. We have fewer than 10 engineers full-time maintaining all the services mentioned before. as a startup, the speed of innovation and growth is key. AWS has allowed us to focus on our users and customers and not spend time on infrastructure. That’s where AWS enterprise support came in. Even though our user count increased multiple fold, we didn’t have to increase our headcount. Second benefit is awesome scalability. We started small but have grown tremendously over the last 4 years. Our usage of AWS has increased 200 times over the last 4 years but it was never an artificial limitation for us to scale our business. With a couple of button touches, our infrastructure grew with us. Lastly, continuous innovation. We have been using AWS for our analytics platform. it has evolved over the years and gone through several iterations. we started with MySQL, later on we moved to Redshift, now our analytics platform runs on data lake on S3 with EMR and presto. All these was done in AWS without any need to look for another platform. Now we look forward to using Athena as well, this is something that we have been waiting for, looks like it’s coming to Singapore soon, so we’ll be using that as well. Using AWS has enabled Grab Engineering team to focus on customers, innovating on new ideas, iterating on new features and rolling them out quickly into the hands of the customers. This has given Grab a competitive advantage in transforming the customer experience. SEA is growing at a tremendous pace. We have an unprecedented opportunity to build a platform that caters to the mobile-first environment and infrastructure needs. We are working on two main areas: making the baby travel easier, and we’re building a multi-modal transport system that offers the most affordable and convenient option across the mobility spectrum, making the way we pay easier. A payments platform, that is the most affordable and convenient platform to pay for services. Momentous challenges, but with AWS on our side, that’s a singular focus. We believe we are only scratching the surface of what’s possible with Grab. Grab is SEA’s largest homegrown technology company and we want to continue growing and provide better service to our customers. We’re the number one transport app in the region, but more importantly, how does tomorrow look like? Grab is part of the first wave of the technology startups from SEA, for SEA. And we belong to the first group focused on building the tech ethos ecosystem and using innovation to improve peoples’ lives. We expect most startups to be creative and built in SEA. AWS platforms make barrier to entry low for startups, and to scale when the business scales. We believe to our very core, but we then we are in this journey together to build SEA’s Baidu, Alibaba, and Tencent. If China and India can do it, why cant we? I look forward to hearing success stories of aspiring entrepreneurs among you in the future for work like this. Good luck and thank you.